See How We're Committed to You. Christian Hospital 2020, the $60 million initiative we introduced in 2017, is becoming a reality. We've come a long way in making good on our commitment to Revitalization, Community, People and Care. 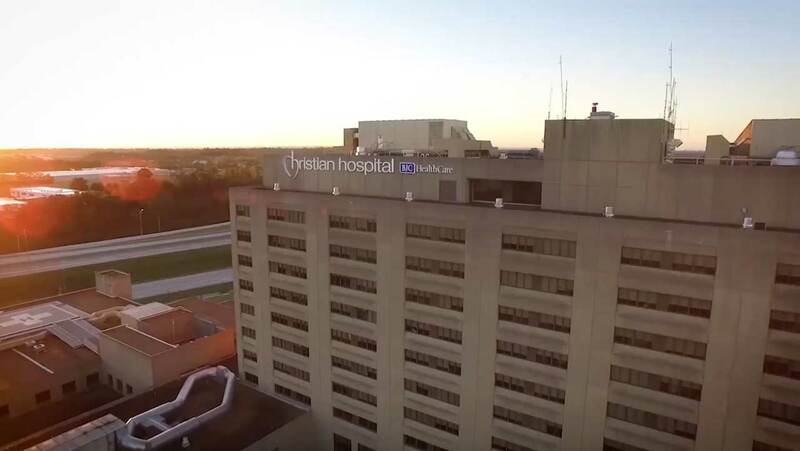 Read our brief progress report on Christian Hospital 2020 to learn more about how we've been upgrading our facilities and how we are becoming a true community partner. Many projects have already been completed, some are still underway, but all will be finished by 2020. Renewing our vision. Strengthening our community. At Christian Hospital and Northwest HealthCare, we seek to be more than your trusted health care provider. Through a variety of projects and initiatives, we aim to be a true community partner and valuable resource. We’re tackling some exciting initiatives to live this mission. Check back here to see pictures of renovation projects, uplifting patient videos and more. From investing in innovative equipment to redesigning spaces, we’re upgrading our facilities to promote a healing environment for our patients and their families. As a community hospital, we’ve sought out dynamic ways to connect with the people we serve since our founding more than 100 years ago. By fostering relationships with valuable resources, developing programs and hosting free wellness events, we’ll continue to expand our role in the community. Our team of highly experienced physicians, surgeons and clinicians provide this community with access to some of the most advanced treatments available, backed by world-class health care resources of BJC HealthCare and Washington University Physicians. Every member of the Christian Hospital and Northwest HealthCare team is invested in you. From providing compassionate care to you and your family, to participating in meaningful community outreach efforts, it’s all part of our long-standing commitment to keeping this community well. Christian Hospital unveiled its new AMCU with 29 patient rooms on February 1. The new BJC Medical Group Convenient Care at Hazelwood, affiliated with Christian Hospital, provides patients with greater convenience and access to care. Located just north of Highway 270 on Lindbergh, the new facility offers a modern, comfortable setting with the latest technology and expertise of BJC providers. BJC Medical Group Convenient Care at Hazelwood is now open. WIth a fresh brand that matches the unparalleled commitment our paramedics have to the community, we’ve updated the look of several of our ambulances. Soon, we’ll also add the fresh look to command cars and our mobile integrated health vehicles. Our emergency medical services not only serve the people of North County — but run transport and hospital transfers across St. Louis county. To provide our patients with greater gastrointestinal (GI) care, Christian Hospital has an extensive, well-equipped GI Lab on the 2nd floor. Recently renovated, it houses a private patient bay corridor with 15 rooms, expanding the capabilities for the specially trained team to treat patients. Christian Hospital celebrates its 115th anniversary of providing health care to St. Louis communities. At Christian Hospital, our commitment extends beyond our hospital walls. We’ve partnered with leaders and organizations throughout North County and the greater St. Louis area. From collaborations with local school districts to relationships with nonprofit organizations, we ensure all people in our community have the resources and support they need. In North County, spiritual leaders are well respected pillars of our community. Together, we’re working to provide the people we serve with care for the mind, body and spirit. As a native St. Louisian and minister for over 40 years, Reverend Freddy Clark knows the importance of Christian Hospital as an anchor for the community. Because of this and the outstanding care he’s received as a patient here, he’s proud to serve on the Christian Hospital Board of Directors. “The strength of the community I serve and the community Christian Hospital serves depends on making our people’s health a priority.” Freddy Clark, Reverend, Shalom Church, Florissant, Mo. From treating illnesses and injuries to offering school and sports physicals, the new BJC Medical Group Convenient Care at Hazelwood, affiliated with Christian Hospital, is ready to help. Our knowledgeable, compassionate BJC providers are on hand everyday, even during evenings and weekends. BJC Medical Group Convenient Care treats a variety of health problems including cold or flu symptoms, minor nausea or diarrhea, low fever under 101, insect bites or rashes, sprains and strains, sports injuries, minor cuts and burns, earache and eye irritation. Here’s a chance to make the healthy lifestyle changes you have been meaning to make. In the 12-week Just Lose It Weight Loss Challenge, you will join your neighbors in a friendly competition to get active and eat healthier. We help keep you motivated with tips, classes, incentives and weekly weigh-ins. Along with Christian Hospital, Just Lose It is sponsored by the City of Bellefontaine, the City of Florissant, the City of Ferguson, Ferguson Bicycle Shop, Lincoln University, Community News and the YMCA. When Lily Hughes needed a heart valve replaced, open-heart surgery was too risky. But then the heart team at Christian Hospital performed an innovative, minimally-invasive procedure called transcatheter aortic valve replacement (TAVR), which had her out of the hospital and back to her life in three days. “They took great care of me.” Lily Hughes, TAVR patient, Alton, Ill.
Martha Nash lived with constant knee pain. She had difficulty walking, sleeping and enjoying life like she used to. But after undergoing total knee replacement surgery at Christian Hospital, she has been pain-free for the first time in 20 years. "If I needed anything, they were there. "Martha Nash, knee replacement patient, Florissant, Mo. When Dorothy Bell went into labor with her son, Justin, there wasn’t time to get to the hospital. Christian Hospital paramedics were called, and safely delivered her baby at her home. Today, Justin is a thriving seven-year-old who is excelling in school, and just received his red belt status in martial arts. "The Christian EMTs took charge immediately, and kept me calm, in what was a very scary experience." Dorothy Bell, EMT patient, Florissant, Mo. Christian Hospital is proud to partner with Challenge Unlimited, a local nonprofit organization, to provide employment to individuals with disabilities. Through this collaboration, these individuals have a greater opportunity to be successful while also creating a more inclusive environment at Christian Hospital. It’s a partnership that’s equally beneficial to both organizations as well as the community as a whole. When health care professionals and staff come to Christian Hospital or Northwest HealthCare, they tend to stay — sometimes for their entire careers. There’s a warm, friendly atmosphere and a shared commitment to providing this community with the best care available. When Rick Stevens stepped into the leadership last summer, he was energized to build upon the clinical excellence and commitment to the community that has been Christian Hospital’s mission for more than 100 years. Through expanding programs like the Community Health Access Program (CHAP) and the emergency medical technician (EMT) and patient care technician (PCT) academies, investing in the latest patient care technologies, and revitalizing several facilities, Rick is excited for what lies ahead for the hospital, and its role in North County. Kim Clark, RN, is a patient care manager on the neurology floor at Christian Hospital — a floor where patients who have suffered strokes are cared for. When Kim herself experienced stroke symptoms one January evening after work, she initially dismissed them. At 43, she didn’t think it was possible she was having a stroke. After receiving emergency care at Christian Hospital, she was transferred to the very floor where she manages patients — and cared for by the team she manages. Along with these stories, Christian Cares magazine highlights other completed and ongoing efforts within these initiatives. You'll also discover a listing of the many community events offered by Christian Hospital, available to you. Learn more about our vision for the future in this engaging health and wellness resource.